Thank you to all of the families that attended our first STEM Family Festival. I hope you had a great time learning about science with your children. We were able to host such a wonderful event thanks to a grant from the National PTA and Bayer. Thank you to all the ASM Gators (from Microbiology and Cell Science Dept. University of Florida) for volunteering their time to teach families about science concepts while having fun. Thank you to our school district and community partners for joining us for such a fun night! 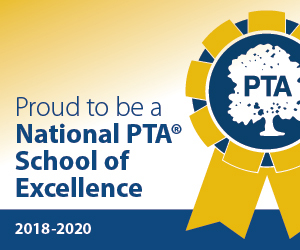 I am so proud of our local unit PTA’s, Meadowbroook Elementary PTA, Archer Elementary PTA, and Gainesville High School PTSA for also winning grants from the National PTA. Meadowbrook Elementary hosted a math night with Mathnasium. Archer Elementary won 50 Little Bits Invention Kits for their school, and Gainesville High School PTSA won a grant from Facebook to host a Digital Families Community Expo. By applying for and winning these grants, these PTA’s were able to bring new opportunities and resources to their schools and communities. This past week, I was in Tallahassee for Florida PTA’s Legislative Conference and Children’s Week. It is a very busy time, and things change very quickly in the capitol while they are in session. Please keep an eye out for our Legislative Action Alerts updates, and check your email for Voter Voice updates. Your voice makes a difference for all of our children. We are also celebrating Public Schools Week (March 25th to 29th) this week. Did you know 9 out of 10 children attend public school? By continuing to advocate for public schools and making our public schools strong, we will strengthen our community. I hope you will you celebrate Public Schools with us. Summer is just around the corner, and I hope you will join us at the Florida PTA Leadership Convention in Innisbrook. This is a great way to learn how to become an advocate for children and build your leadership skills. Registration is now open. Our goal is to double the attendance from Alachua County this year. Please help me reach that goal and join us in Innisbrook. Thank you all for making our community a better place for children, and thank you for advocating for all children. I hope you all have a happy and safe spring break!